Citation: C N Trueman "RAF West Malling"
historylearningsite.co.uk. The History Learning Site, 21 May 2015. 14 Apr 2019. Prior to World War Two private flying clubs used West Malling airfield. However, as war loomed West Malling airfield was requisitioned and quickly developed so that the base had air raid shelters, two grass runways, anti-aircraft emplacements and aircraft hangers. West Malling was tasked to act as a forward air base toBiggin Hill and Kenley – though for a number of months into the war, it was not able to fulfil this role. The first aircraft to use West Malling were Lysanders. These were used for reconnaissance purposes only. The biggest clue to the airfield’s status at this time was that in August 1940the station commander was a Flying Officer, having previously been a Wing Commander. The airbase was first attacked on August 10th when a lone German bomber attacked without warning and bombed seemingly at will. Seventeen builders were injured and one died from his injuries. The next attacks came on the 15th 16th and 18th August. Major damage was done to the airfield and several Lysanders were destroyed. On September 10th, an attack on West Malling led to the deaths of six soldiers who were on duty at the base. The damage to West Malling was such that it was not considered ready to receive a squadron until October 30th when Spitfires of No 66 Squadron landed there. 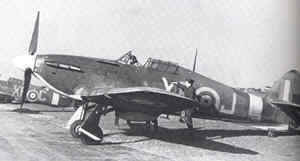 The Hurricanes of 421 Flight also joined 66 but by the end of the year both had been sent to other bases – 66 to Biggin Hill and 421 to Hawkinge. At the end of April 1941, No 29 Squadron arrived at West Malling equipped with Beaufighters. These were used in night operations with considerable success. One of the pilots with No 29 was Flight Lieutenant Guy Gibson. Though trained to pilot bombers it was felt that the experience of flying at night and avoiding German fighters could only develop his flying skills. Gibson went on to lead the ‘Dambusters’ in the raid on the Ruhr dams. While the Beaufighters operated at night, West Malling was frequently used during the day by numerous squadrons as a forward air base. West Malling was also ideally sited for returning damaged bombers. The runway was long enough to cope with them and the ground crews skilled enough to get the bombers back in the air wherever possible or dismantled and returned to their home base by road. Aircraft from West Malling played their part in the Dieppe raid. While a failure on the ground, fighters from various squadrons proved their worth in the air. West Malling became a base for Mosquito night fighters and Hawker Typhoons. The Typhoons were ordered to attack along the coast of France and proved to be of great value when attacking rail lines and trains. The Mosquitoes took over from the Beaufighters and built on their considerable success as a night fighter. Aircraft from West Malling accompanied as escorts both RAF and USAAF bombers to Europe. As the bombing of Europe intensified, so West Malling was used more and more by damaged bombers needing to make an emergency landing. West Malling played its part in D-Day when the Allies needed to have complete supremacy in the air to give those landing as much support as was physically possible. Fighters from West Malling also took part in ‘divers’ operations – destroying incoming V1 rockets on their way to London. West Malling was considered to be the most successful airbase for this task and by the time the V1 threat had ended, the base could claim that it had destroyed 280 V1’s. However, with the war being fought on mainland Europe and with the Nazis in full retreat, there was less of a need to keep West Malling operational and by the end of August 1944, the base was quiet.